Provides increased flexibility and scalability for load balancing via software on virtualized, containerized, and physical platforms. Supports integration of mobile device intelligence into load-balancing logic, enabling more efficient use of mobile web servers. Available on HAProxy Enterprise Edition (HAPEE), an enterprise-class version of HAProxy that includes a robust and cutting-edge code base, enterprise suite of add-ons, expert support, and professional services. 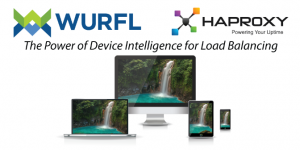 Delivers WURFL device capabilities to any downstream application across the network, simplifying mobile optimization and collection of device analytics. “Forward-thinking enterprises are moving towards efficient load balancing of mobile traffic by using reliable, scalable, and secure software application delivery controllers like HAProxy. 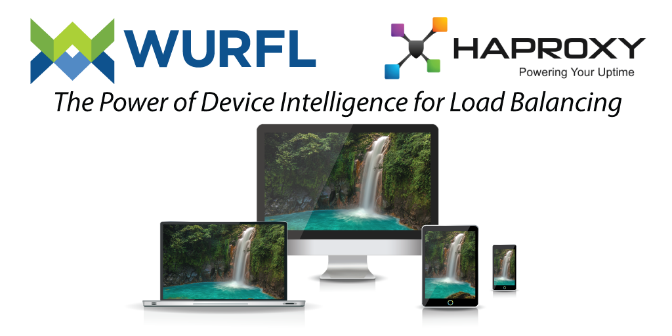 With WURFL InFuze, we can increase that efficiency while delivering valuable device intelligence to applications across the enterprise,” said HAProxy Technologies CEO Dujko Radovnikovic. HAProxy users can deploy virtualized, containerized, or physical instances with WURFL support on commodity servers giving them the ability to rapidly respond to traffic while containing costs. WURFL InFuze for HAProxy provides a high-speed API that complements HAProxy’s fast and highly-available application delivery solution. WURFL users receive weekly updates of the device detection repository, which is more than 99 percent accurate and identifies more than 50,000 devices. HAProxy can pass WURFL’s device intelligence via amended HTTP headers to any downstream application. These applications can leverage WURFL device capabilities such as: device model, device price, device manufacturer, form factor, screen size, screen resolution, OS version, browser, and more. Since 2011, ScientiaMobile has introduced six WURFL products, seven server modules, eleven supported coding languages, a fifteen time improvement in server speed, cloud detection, intelligent image CDN, integration with six business intelligence tools, internet of things detection, and more than 500 other device attributes. HAProxy Technologies is the company behind HAProxy, the world’s most widely used software load balancer and application delivery controller. High-profile websites including Booking.com, GitHub, Reddit, StackOverflow, Tumblr, Vimeo, and Yelp choose HAProxy for reliable performance, advanced security, and extensible features. Trusted by leading cloud providers such as Amazon Web Services, and serving as the reference load balancer in OpenStack, it sets the standard for superior application delivery. The company’s range of solutions empower enterprises with the flexibility and confidence to deliver websites and applications with high availability, performance, and security at any scale and in any environment.